Kim Collings wears a number of hats in her life. 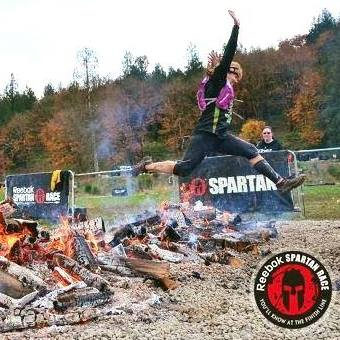 She is a mother, a runner, OCR Badass and currently runs the Beasts OCR ambassador team. She is hardworking, strong and knows how to have a good time in the mud. I wanted to feature Kim in this article series for many reasons: her sense of humor, love for the sport, drive and determination. 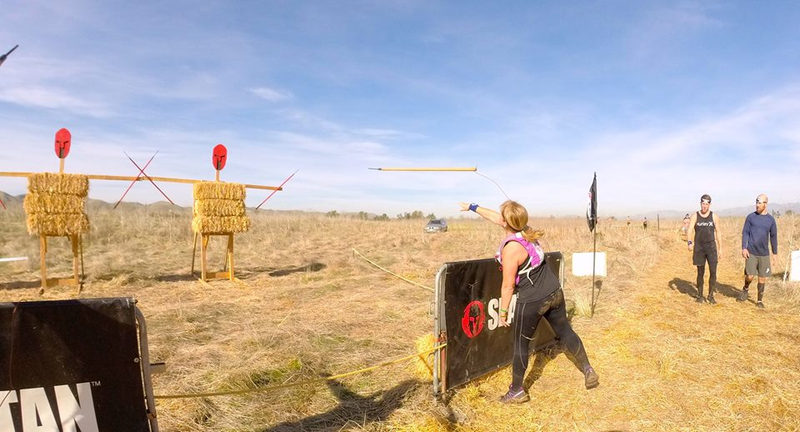 At 52 years old, Kim is not slowing down anytime soon, and I am excited to see where her OCR journey takes her, and hope you enjoy getting to know her a bit better. I’m 52 years old and live in Washington State. I love it here. There are oceans, mountains, deserts, and even a rain forest! There are so many outdoor activities to do here and the beauty that surrounds us is amazing! Not at all. I tried a few sports in school but just never excelled at them. I was the one that was picked last to be on the team. When I turned 30 my son was born (on Christmas day) and while I was on maternity leave I started walking a three-mile loop while pushing him in the stroller. This became a daily activity and I decided to try and run a little. It started with just a slow sprint to the next telephone pole. Then a little more and a little more, until I was running the whole loop with him. He loved it and I was amazed I could do it because I was never a runner. Being a new mom and a new runner was so exciting to me and there was something special about combining the two. 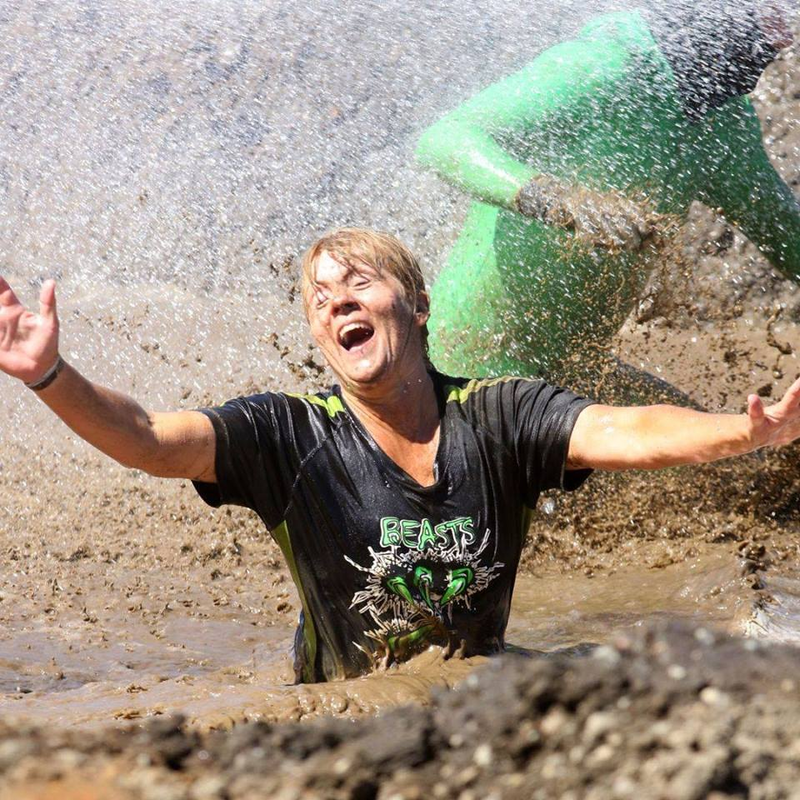 My first OCR/mud run race was in June of 2014 and it was Survivor. A friend of mine asked if I would like to try it out. I was pretty neutral about it. Not for or against, so I gave it a shot. It was going along pretty well and then we came to the first mud pit. I stepped slowly and felt it squish under my feet. I think I actually said ewwwww out loud. then I thought to myself, “what would my mom say”…and I ran in full speed! That was when I became hooked! It was so much fun! Like being a kid and it was OK to play in the mud! My second race was Tough Mudder. When I googled it I felt really out of my league. How in the world could I do what those people were doing? Once me and my buddy got there (the same one that asked me to do Survivor) I found that everyone helps each other and cheers each other on. The atmosphere was electric and I had the time of my life! Next, was my first Spartan race in Washougal, WA. That location is still my favorite race venue of all the Spartans. I can’t explain why, but most people who’ve raced there understand. This race was even scarier to me until we completed it. I wanted to run more and more! Since then, I’ve run 24 road races, including a 50-mile relay with some wonderful gals, 45 OCR’s (with 7 more to go this year), 8 endurance events (GoRuck, Hurricane heats, Machete Recon), summit-ed Mt. St. Helens twice and nearly summit-ed Mt. Rainier (I’ll be back for that one). It all started with a stroller and a buddy who wanted to do a fun weekend event. As I mentioned before, my friend (AKA Mud Buddy) Chris got me into it to start. I joke that it’s all his fault! A year after Survivor I found the Beasts OCR team online. They were extremely small at the time and I joined them to find more like-minded people. The team has grown to over 2,000 members now and everyone is so amazing! I’ve never known such a group of supportive people. We are like family and would help each other on and off the course. I have been told that you run the Beasts OCR ambassador team. Please tell us about it. The ambassador program is new this year and has been a very exciting addition, as we also have a pro team. The team consists of six members who represent us at races and in the community. They are the cheerleaders of the team. They’ve brought many people into the group just from their genuine excitement and willingness to help others and love of the sport. I see them jumping in to help people on the course all the time with huge smiles on their faces. Both teams are sponsored by GHUnders. GHUnders have supported the team from day one and go above and beyond what most sponsors would do. They are absolutely amazing to us and their product is another story in itself. I wouldn’t race without them…they are really that good! In terms of obstacle course racing do you prefer the short course? Long course? Or endurance course format? I’m not sure that I have a favorite…I love them all. The sprints are fun because of all of the obstacles packed together but the fun is done too quickly! If I picked one, I would go with the midcourse length of around 8 miles or so. Short enough to keep the running speed up a little and long enough to make the race last. 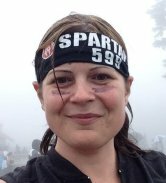 I did my first Ultra Beast last year and on the second lap, I swore I would never do another one. When I returned home, I signed up for this years within two days. It was hard, but it was such a great experience too. Loved the challenge of making the time hacks and crossing that fire jump. I’ll never forget that feeling! I can’t think of any that I wouldn’t do. I plan to do the Spartan Agoge and Spartan 12-hour hurricane heat next year. That will complete my delta. More importantly is the experience, to see if I can push through and make it. Even if I don’t make it, I always feel a drive to figure out how I can do it next time and just love the challenge! I’ve always wanted to go to Scotland. I think that would be an amazing trifecta weekend. Both. I started running the competitive/age group last year and it made me better at the obstacles because I had to find a way to conquer them. I still have some I haven’t figured out but I am slowly but surely getting there and it is so exciting to do a little better each time. I’m working on my running speed now and would love to get faster. The women of OCR racing absolutely inspire me, from the elites to my teammates, to women I’ve only met on Facebook. Not only does their athletic ability inspire me, but their outlooks and positive attitudes inspire me so much! I joined Yancy Camp a few months ago and it has been so beneficial. I was training for a marathon so I wasn’t able to do a lot of the workouts until the past month. Now that I’m getting consistent workouts in I can tell a big difference already, especially with my grip strength. These workouts are doozies for sure, but that’s what makes progress. I’m so excited to continue and see where it takes me. I’m also a Brute Force ambassador and love sandbag workouts. It really is fun to do something different and mix up the workouts. Never gets boring! I like to try something new once a month. I’ve discovered I don’t like them all (tripe was a big no), but I’ve found some items which I’ve incorporated into my diet consistently like bitter melon, lotus root, and dandelion tea. I used to put a reminder on my calendar so I wouldn’t forget but now it’s something I think about and look forward to. Have fun fun fun! Try every obstacle and don’t pass it by without giving it a shot. If you don’t make it, it’s no big deal and it gives you an opportunity to figure out how to make a little progress each time. It’s so exciting to make headway and then finally get it! ….and definitely celebrate those big and little victories! All my life I was looking for that passion. Something to be excited about. Proud of. I’ve found it! It took me 50 years, but OCR is it! I just love everything about it from the challenge, the fun, the accomplishment, but most of all…the people and the friends I’ve made who are so very dear to me!